Small Business Marketing Consultant » Blog » Effective Marketing » Sometimes You Have to Play the Ball Where the Monkey Drops It. As the story goes, they were having a monkey problem at the Royal Calcutta Golf Club, the first golf course in India. 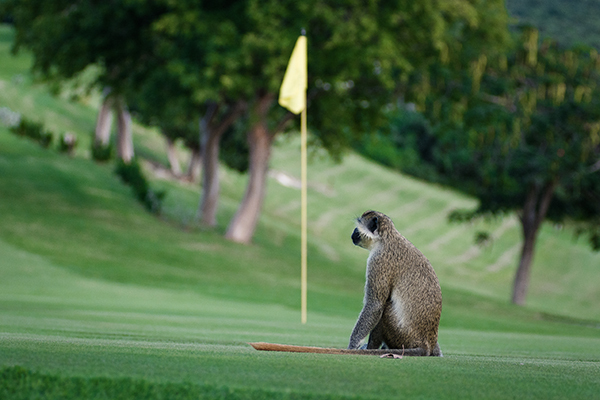 Not being familiar with golf etiquette, the monkeys were picking up players’ golf balls. And fences, loud noises and relocating the monkeys weren’t working. The final solution: Play the ball where the monkey drops it. And the lesson: We often control far less of a problem situation than we think. Sometimes, the best solution doesn’t feel like a solution at first. After all, the goal was to stop the monkeys from messing with the damned balls, right?? Never mind that the story probably isn’t true. It teaches a good lesson. I first heard it in Ed Catmull’s amazing book, Creativity, Inc. Catmull is the brains behind Pixar, along with John Lasseter and Steve Jobs. The book’s sub-title captures the essence of its message and ties to our golf-ball-stealing monkeys: Overcoming the Unseen Forces That Stand in the Way of True Inspiration. Think about that. No mention of an 11-step creative process, meditation chamber, or special type of meeting. 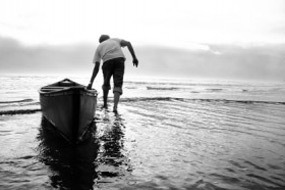 Rather, being open to and accepting of problems, having a commitment to embracing, not avoiding them, and an acknowledgment that the process will be hard. And, the book is full of example solutions that didn’t appear like solutions at first (a la our monkeys). It’s a book well worth your time.